Great stuff. I’m jealous of you getting to play with the big boy toys, and there is so much hype about the tabular being “faster” without good tests like this to back it up. a) use of 1,800 Mhz RAM on the tabular. It does seem to be super sensitive to memory performance, so a shame the MTC only had the 666 Mhz memory. if the tabular has 2.5x faster memory performance that may have swung things a bit maybe in some of tests. Yeah I’m intrigued how much memory speed impacts Tabular so that would be a good test. The Tabular tests were on the client’s server, not the MTC box. If I get time I’ll try and set up tabular on the MTC server and update the results. In the original Tabular tests I did compare DAX against MDX and found virtually zero difference. However this is because the queries at the moment are pretty simple distinct count queries, the time taken to handle the storage engine load is by far the significant load, the formula engine and DAX/MDX translation seems insignificant on these tests. Also, the client’s entire workload is MDX through Excel pivots, so I’m trying to replicate the real world usage as accurately as possible. Also worth mentioning, that with 1800Mhz RAM (and even 1667) we’re currently very limited on how much RAM CPUs can support, meaning we can only run small Tabular models on the fastest RAM. And small models aren’t really the problem, they run super fast all the time anyway. However, the Xeon E7v2 chips may change the game slightly, by allowing far more memory at the faster speeds. If you have an E7v2 running 1800Mhz RAM to hand then please let me know how it performs! As you say the E7v2 is a game changer for sure: You can get 756GB RAM@1866 Ghz with 2x 8 core 3.3 Ghz CPU for under 20k euro. This beast was made for SSAS ! Happy to run some tests to see how that does on the tabular. One of the servers is completely blank now here. Bob (and Alex), I think it would be very beneficial to write an article calculating the ROI of this type of server, and showing some example of configuration for Tabular. This would be very beneficial to other customers and will help them selling “internally” Tabular, explaining to IT why they should buy a different HW for Tabular. I spent hours on this, and an “article on the Internet” would be very helpful in these fights. I am available to contribute on that – I don’t have access to so many different hardware configurations to do the tests, but I can contribute in gathering these numbers (from testers) and writing/reviewing an article. I have noted the same things that Bob did. I can provide you a small benchmark (database to load and DAX queries to run) to test hardware, especially for single threaded operations (such as formula engine). Talking about ROI, I would also consider spending money on a faster CPU before using an external I/O that I imagine being more expensive. That said, I know that for certain database and queries, OLAP is better, because you can rely on aggregations. But the TCO is higher because of the maintenance it requires (not considering the time to correctly setup and tune the aggregations). I’m also worried that a faster RAM might not be useful without a faster CPU – but I’m not entirely sure about that, it’s just a thought. Just to explain why CPU and RAM matters: I have a notebook that runs 2x faster than an Azure VM with Tabular, and a desktop that runs 4x faster than an Azure VM with Tabular. And neither of these machines cost more than 4,000 USD. When I did the same test with a customer’s hardware, they chose to buy another server instead of using a VM in their big baby, that had many many cores running at 2.6GHz and RAM at 1300 MHz. New hw with 3.5GHz and 1800 MHz is 2x faster. However, the CPU clock is not always a good indication, I’ve seen X7560 performing well at 2.26GHz. It’s really hard to predict performance with Tabular without a specific test on the hardware. Yes I agree, predicting performance for Tabular is a dark art, and causing some headaches 🙂 I’ve been trying to get access to a machine with faster memory to test with but have not managed it yet. I’m going to try and get time to test Tabular on the MTC server to even out the playing field, but time is always in short supply. “I’m also worried that a faster RAM might not be useful without a faster CPU” – On the tests I’ve run on other hardware, the CPU has more often than not been the bottleneck maxed out at 100%, so I’m also doubtful how much difference faster RAM would make on its own. However as you said, combined with more CPU grunt it will certainly help. But with Tabular limited to a single NUMA node, there’s a limit to how much CPU power it’s able to use at the moment. you should look at utilization of CPU for single thread, too – formula engine is single threaded and in those cases CPU clock (but also RAM) might be very important. Moreover, only one thread per segment is used by Tabular so consider segment size (default 8 million rows) and rows in a table in order to realize how many cores might be used at max during VertiPaq scans. My expectation was that a higher segment size should improve performance, but I found (with this dataset) the optimal size was 1m or 2m, with distinct count query time increasing rapidly when segment size was raised over 8m. With CPU thread utilisation, in the Tabular tests all threads were maxed out at 100% for most of the queries, with only minor fluctuation. With the Multidimenstional tests, the vast bulk of the workload is storage engine, so can take advantage of multiple threads. What I found in these tests was when using disk storage, multiple threads were used, but only at an average 2-4% level. 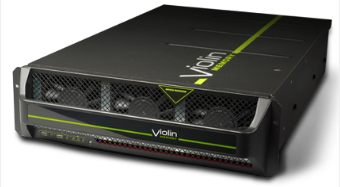 When using the Violin storage, one socket would be maxed out at 100% consistently, the other three would fluctuate around 25-40%, giving a total CPU utilisation of 40-60%. None of these queries are formula engine constrained, so the single threaded FE is negligable in this scenario. However just out of interest, I did also run tests on an M2M model (with a large non-compressed bridge table) which, as you’d expect, after an initial burst of high CPU and IO settled down to a single formula engine thread maxed out for a considerable duration. I may post the screenshots in another blog, to encourage people to read your M2M revolution paper. 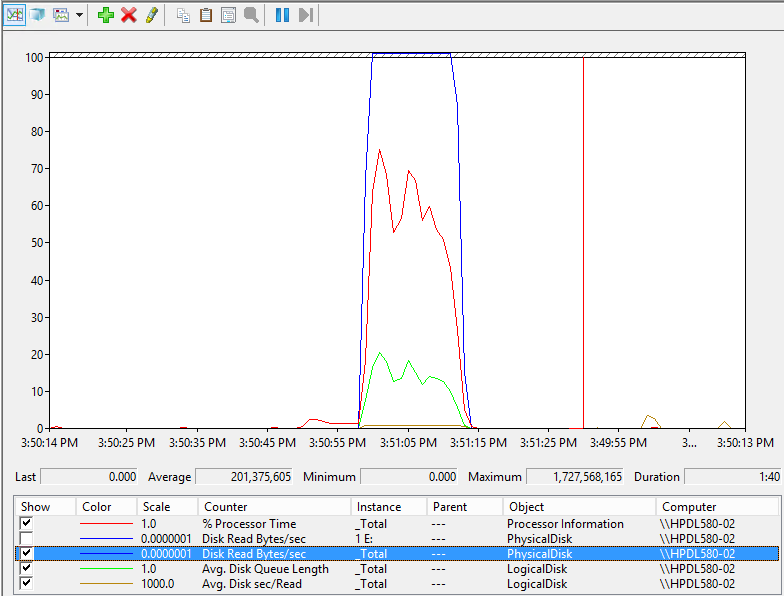 I just commented in the related blog post that SSAS 2012 SP1 CU9 made a very important improvement on DISTINCTCOUNT calculation. In general, reducing segment size might improve parallelism on small tables, but when you have enough segments usually a larger segment provides a better compression, resulting also in better performance. We have seen exactly the opposite behavior, improving results by using larger segments instead of smaller ones, at least with regular measure (not distinct count). Unfortunately, the improvement does not impact M2M performance, that still suffer when a dimension involved in M2M relationship has more than 1-2 million rows (depending on hardware). I hope this will improve in a future update/release. Yes this test and the NUMA testing in earlier posts used either CU9 or CU8 + the hotfix for the distinct count fix. Even with the hotfix applied I still found better compression and faster processing speeds with the smaller segment size. I’m not surprised that you’ve found better performance with larger segment sizes – my results came as a surprise to me and to the Microsoft support guy helping with this performance testing. In this project I’m only really concerned with distinct counts, not normal measures. So this may explain the different behaviour. It could also just be peculiarities of the [slightly odd] dataset I’m using, but the results are repeatable and consistent. I’ve not managed to explain it yet. If you have any results from segment size testing on large high cardinality distinct counts I’d be interested to know the results to see if it’s just me! Worth noting that the distinct count >2m fix did not make it in in time to be included in SQL 2014 RTM, so be careful if you have large distinct counts in a 2014 model. From what I understand it should make it into 2014 CU1, so not long to wait. I have a customer that has a situation with a large distinct count column (20m). I will try to ask them whether they can do some test and I’ll update you on results. It will be not quick, but I will try. Great work, and thanks for taking the time to do the comparisons. Now, with the lower cost of MPP, such as Azure Data Warehouse, and access to a more complete set of columnar indexes in SQL Serve 2016, what would be great is you added one more approach to the mix: ROLAP, using multi-dimensional. 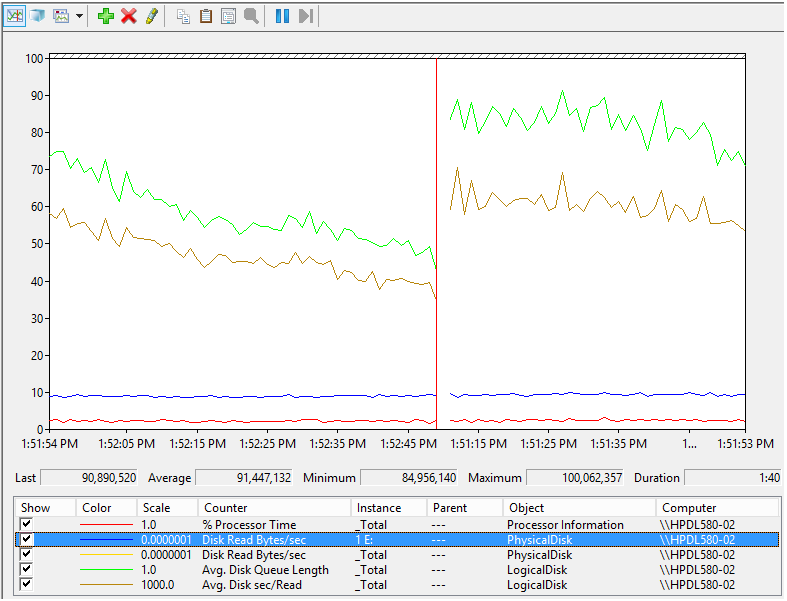 Potentially gone are the database size limits, especially with Azure DW, you just add more power. And ROLAP allows us to use multi-dimensional more as a virtual cube view/data mart. Gone are the data warehouse to MOLAP ETL processes. Many pluses, and gone are all those Tabular downsides. Just a thought.